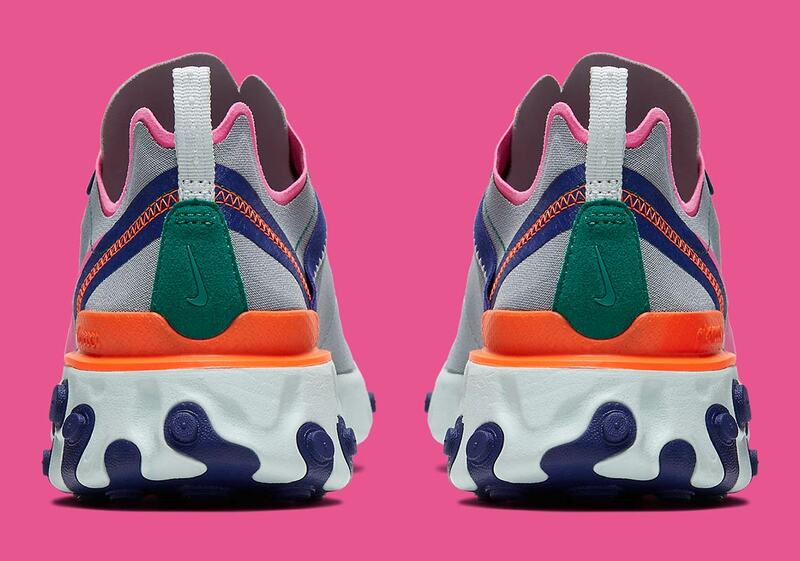 Nike’s React Element 55 has managed to step somewhat out of the shadow cast by its proverbial “big brother” — the React Element 87 — as of late, thanks to many clean new colorways and an upcoming Kendrick Lamar collaboration. 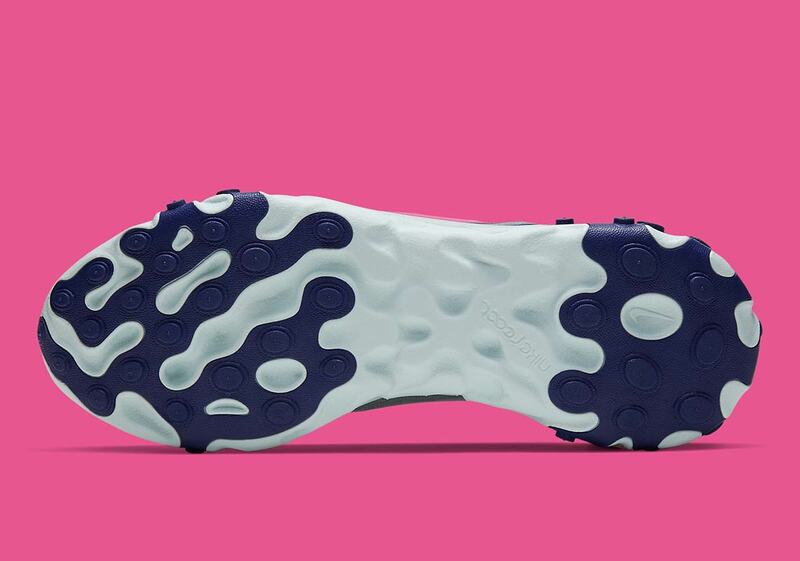 Now, it’s surfaced in a new women’s-only “Wolf Grey” colorway that features a veritable plethora of bold and colorful accents. The simple grey base is merely a canvas for the accents to shine upon, and shine they do. 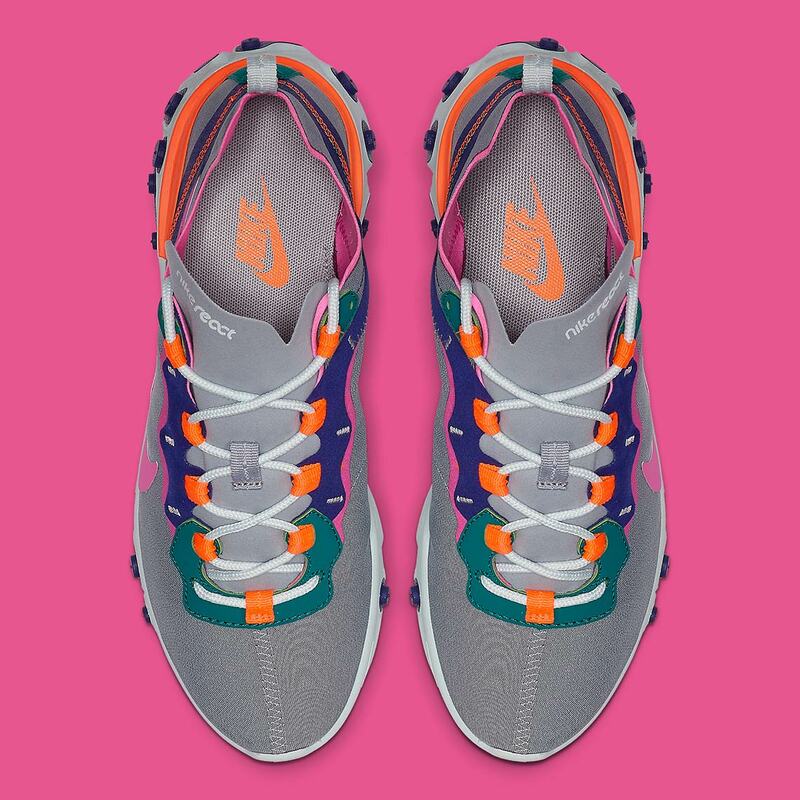 An unmistakably ’90s combination of forest green, royal blue, bright orange, and light pink combine on the throat, midfoot Swoosh, and heel to provide a colorful contrast that artfully toes the line between fun and practical. A soft grey React midsole with bold blue plugs then completes the look. Grab a look at a full gallery of official images below, and look for these eye-catching ladies-only kicks to release on Nike.com and at select Swoosh Brand stockists soon for $130 USD. 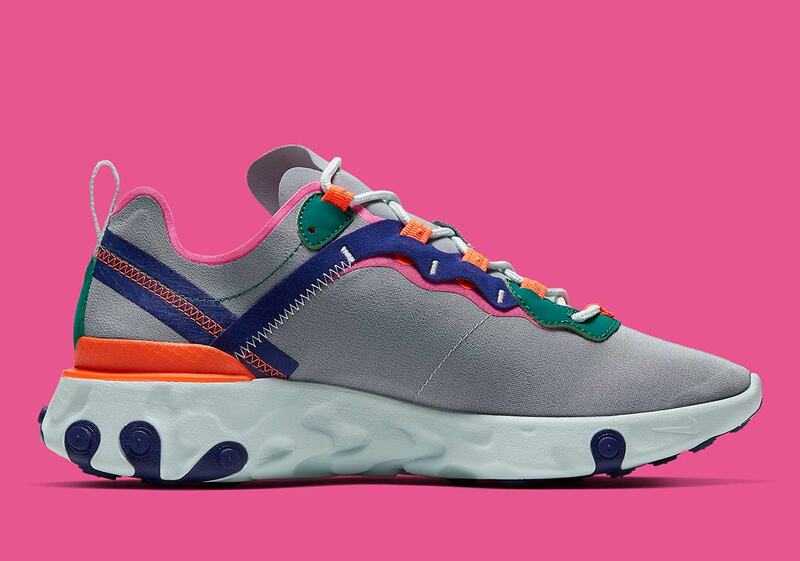 The post Nike’s “Wolf Grey” React Element 55 Features Bright And Bold Accents appeared first on Sneaker News.